Glen Scrivener is a good friend of mine and the ministry I am involved in, Cor Deo. Every year Glen joins us for a day during the full-time course and shares with the team about the Gospel and evangelism. Back in 2012 he spoke at our Delighted by God conference in London. 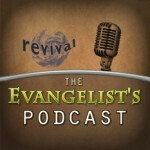 Here is his latest episode of The Evangelists Podcast in which he interviews me about Cor Deo, about the book, Pleased to Dwell, and a little bit about Bible reading too. ← Rick McKinley – Where’d Jesus Go?